Planting trees remains one of the cheapest, most effective means of drawing excess carbon dioxide from the atmosphere – which is why it’s the main objective of the Sustainable Glasgow Project. 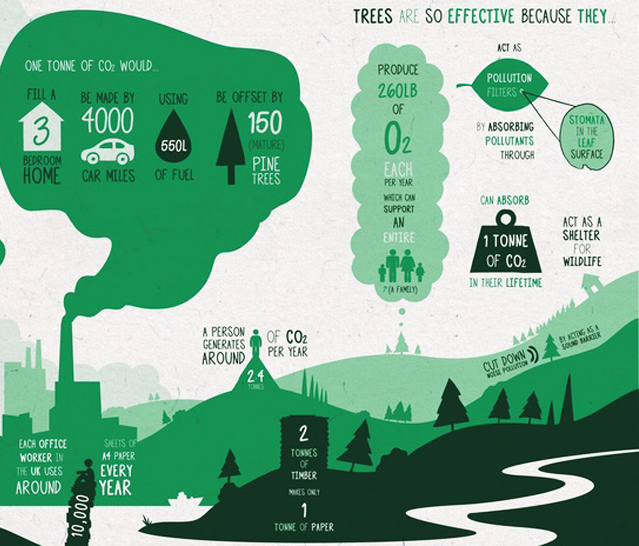 They created this infographic to share some interesting facts about trees and how much carbon people produce. The Sustainable Glasgow Project funds carbon offsetting projects through the receipt of donations, and they offer individuals and organizations opportunities to offset carbon dioxide from their day to day activities by planting trees. Check out the full infographic after the jump! Planting trees remains one of the cheapest, most effective means of drawing excess carbon dioxide from the atmosphere - which is why it's the main objective of the Sustainable Glasgow Project. They created this infographic to share some interesting facts about trees and how much carbon people produce. 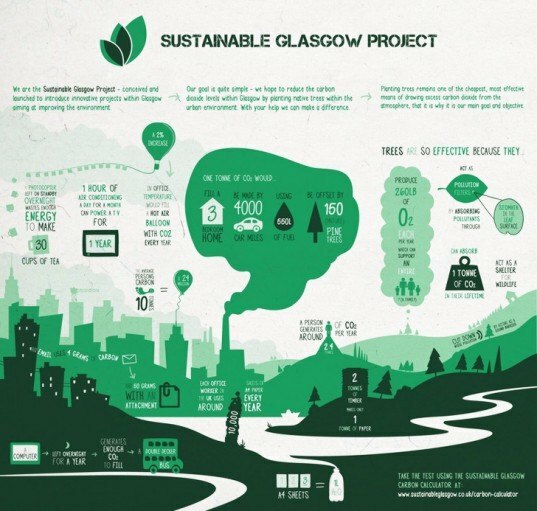 The Sustainable Glasgow Project funds carbon offsetting projects through the receipt of donations, and they offer individuals and organizations opportunities to offset carbon dioxide from their day to day activities by planting trees. Check out the full infographic after the jump!